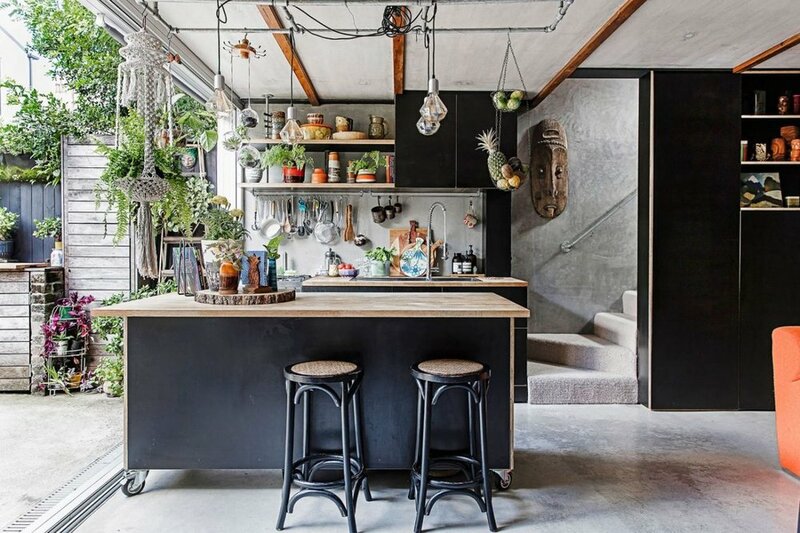 Surry Hills is an affluent, inner city, eastern suburb of Sydney and Susanna and Paul Harrison's home is a perfect little urban oasis. Obviously I love all the plants that make you forget you are living in a city but I also love all the retro vibes, particularly the awesome orange sofa in the living room looking perfectly at home next to the industrial design of the house. Super cool and inspiring place don't you think?